Dovhyy suspected of involvement in a land allocation scheme. 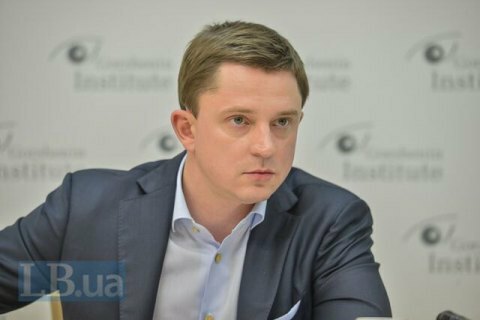 Ukraine's Prosecutor-General Yuriy Lutsenko has signed a notice of suspicion for MP Oles Dovhyy (People's Will), Lutsenko's spokesperson Larysa Sarhan said on Friday, 22 September. Dovhyy is a suspect in a criminal case on the illegal allocation of land by the Kyiv city council. Dovhyy denied the charges saying that it was the council which allocated land in 2007–09 while he as the council's secretary only rubber-stamped the decision. He broke regulations but not the law, he said. In mid-July, the Ukrainian parliament approved prosecutors' request to press criminal charges against Dovhyy and stripped him of parliamentary immunity from prosecution. On 14 July, the head of Ukraine's Special Anticorruption Prosecutor's Office (SAPO), Nazar Kholodnytskyy, said investigative actions involving Dovhyy had been taken. The allocation of land in the Zhukov Island wildlife sanctuary outside Kyiv is seen as an abuse of power and office.